Quote; "Before becoming Ukraine’s Finance Minister last December, Natalie Jaresko collected $1.77 million in bonuses from a US-taxpayer-financed investment fund where her annual compensation was supposed to be limited to $150,000, according to financial documents filed with the US Internal Revenue Service this year. So, Jaresko’s arrangement was something like taking someone else’s money to a roulette table, placing it on black, and claiming a share of the winnings if the ball stopped on black. However, if the ball landed on red, then the someone else absorbed the loss, except in this case the winners were Jaresko and her associates and the losers were the American taxpayers. The purpose cited by the US Congress in starting the non-profit WNISEF with $150 million in the 1990s was to help jumpstart an investment economy in Ukraine and Moldova for the benefit of the people of those countries. The project was administered by the US Agency for International Development (USAID), which selected Jaresko, a former US diplomat of Ukrainian heritage, to run the project. Last December, Ukrainian President Petro Poroshenko named Jaresko Finance Minister after awarding her instant Ukrainian citizenship. At that point, she quit WNISEF and has since become the face of Ukrainian “reform,” representing the US-backed government at international banking events at Davos, Switzerland, and elsewhere while appealing for billions of dollars in Western financial aid which she oversees. Thus, Jaresko’s standards for handling public moneys are relevant to judging whether the new regime is just a reshuffling of who gets to plunder Ukraine or a serious effort at reform. The overthrow of the previous Ukrainian government of President Viktor Yanukovych was largely justified in February 2014 because of allegations about corruption. The new regime has presented itself as committed to reform, even though some outside observers contend that corruption is as bad or worse than under the old government. 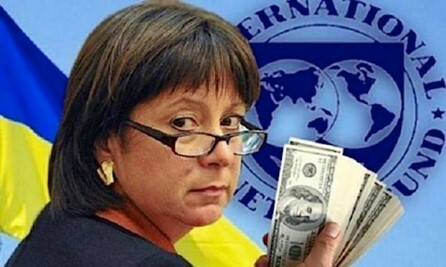 There is also the question of whether Jaresko is more interested in getting rich than in serving the people of Ukraine. As WNISEF’s chief executive officer, Jaresko seemed to grow dissatisfied with her $150,000 salary. For instance, in 2004, she earned more than double the prescribed amount, paid $383,259 along with $67,415 in expenses, according to WNISEF’s IRS filing for that year. According to audit documents that I obtained from USAID, an “Expense Analysis” for 2004 showed $1,282,782 being paid out as “Exit-based incentive expense-equity incentive plan” and another $478,195 being paid for “Exit-based incentive expense-financial participation rights.” That suggested that Jaresko was already claiming bonuses from WNISEF’s investments (bought with US taxpayers’ money) and sold during 2004. In 2006, Jaresko’s compensation for her work with WNISEF was removed from public disclosure altogether after she co-founded two related entities – Horizon Capital Associates (HCA) to manage WNISEF’s investments (and collect around $1 million a year in fees) and Emerging Europe Growth Fund (EEGF), a private entity to collaborate with WNISEF on investment deals. According to the USAID’s expense analyses for 2004-06, the taxpayer-financed WNISEF spent $1,049,987 to establish EEGF as a privately owned investment fund for Jaresko and her colleagues. USAID apparently found nothing suspicious about these tangled business relationships despite the potential conflicts of interest involving Jaresko, the other WNISEF officers and their affiliated companies. For instance, WNISEF’s 2012 annual report devoted two pages to “related party transactions,” including the management fees to Jaresko’s Horizon Capital ($1,037,603 in 2011 and $1,023,689 in 2012) and WNISEF’s co-investments in projects with the EEGF. Though the IRS forms have a line for earnings from “related organizations,” WNISEF listed nothing, apparently treating compensation from Horizon Capital and EEGF as “unrelated” for the purposes of reporting compensation for Jaresko and other officers. So, the scale of how much Jaresko was making from her association with WNISEF was unclear until last week when the IRS released WNISEF’s 2013 tax filing of Aug. 11, 2015, in response to a request from Consortiumnews.com. Though the filing still did not disclose all of Jaresko’s WNISEF-related compensation, it did list her $1.77 million share of the $4.5 million in bonuses awarded to her and two other WNISEF officers, Iwashko and Koszarny. WNISEF filings also said the bonuses were paid regardless of whether the overall fund was making money, noting that this “compensation was not contingent on revenues or net earnings, but rather on a profitable exit of a portfolio company that exceeds the baseline value set by the board of directors and approved by USAID” – with Jaresko also serving as a director on the board responsible for setting those baseline values. Though compensation for Jaresko and other officers was shifted outside public view after 2006 – as their pay was moved to the affiliated entities – the 2006 IRS filing said: “It should be noted that as long as HCA earns a management fee from WNISEF, HCA and HCAD [the two Horizon Capital entities] must ensure that a salary cap of $150,000 is adhered to for the proportion of salary attributable to WNISEF funds managed relative to aggregate funds under management.” Go to: http://ronpaulinstitute.org/archives/featured-articles/2015/november/12/how-ukraine-s-finance-chief-got-rich/ For full article.